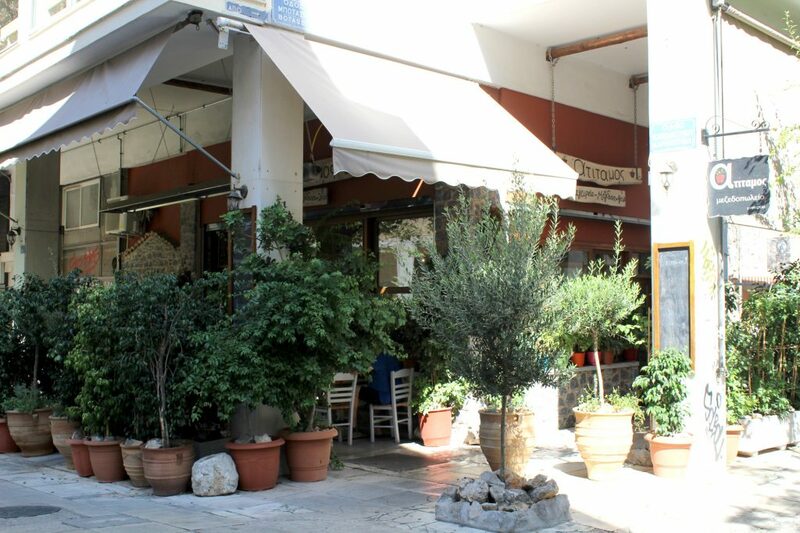 Atitamos Restaurant is a hidden gem in Athens. Superb Greek Food, served by a happy staff team, this restaurant really has a good spot in my heart. They also bring you a treat with your bill. Actually, I notice this is a common practice in Greece. How can you not love this nation, really? 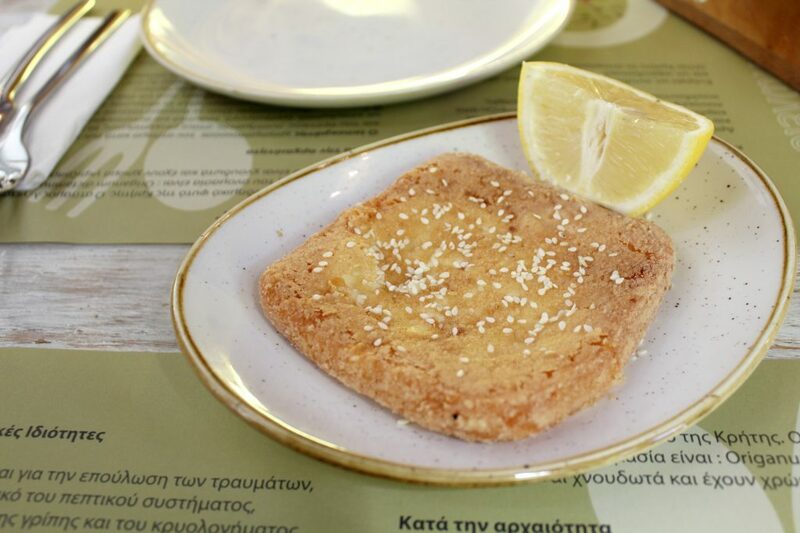 Entree: Saganaki – deep fried cheese. To share: Green salad – with manouri cheese, sun-dried tomato, rockets, lettuce, and balsamic dressing. Hubby: Classic Lamb kebab with hot chips. Mine: Smoked trout fillet, with rockets, fresh peppers, and cherry tomatoes. Saganaki – deep fried cheese. 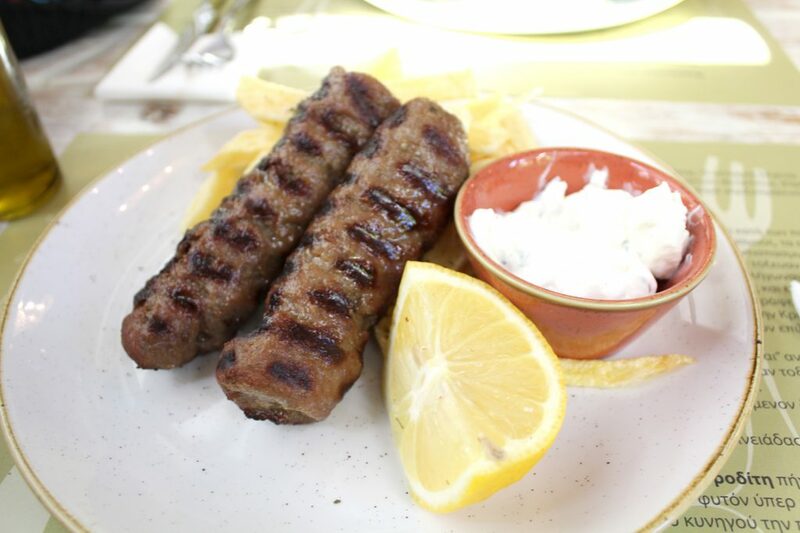 Classic Lamb kebab with hot chips. 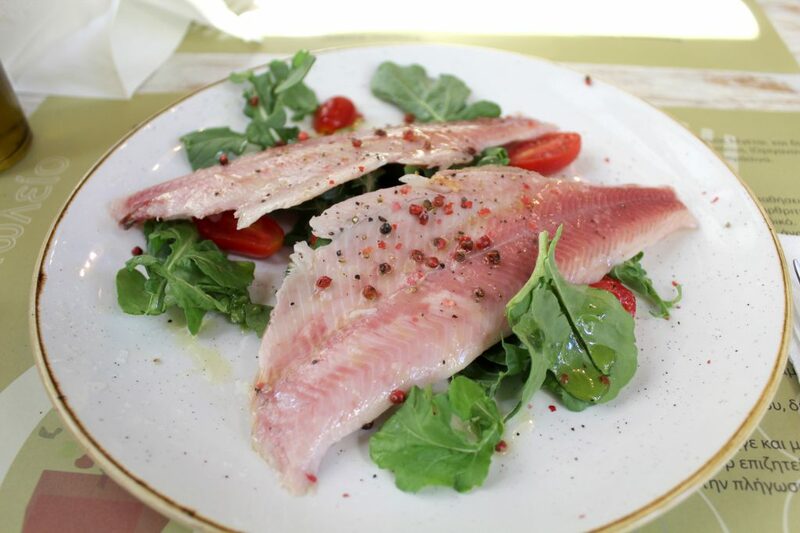 Smoked trout fillet, with rockets, fresh peppers, and cherry tomatoes. In overall food was good and tasty, but the best one for me was that salad. 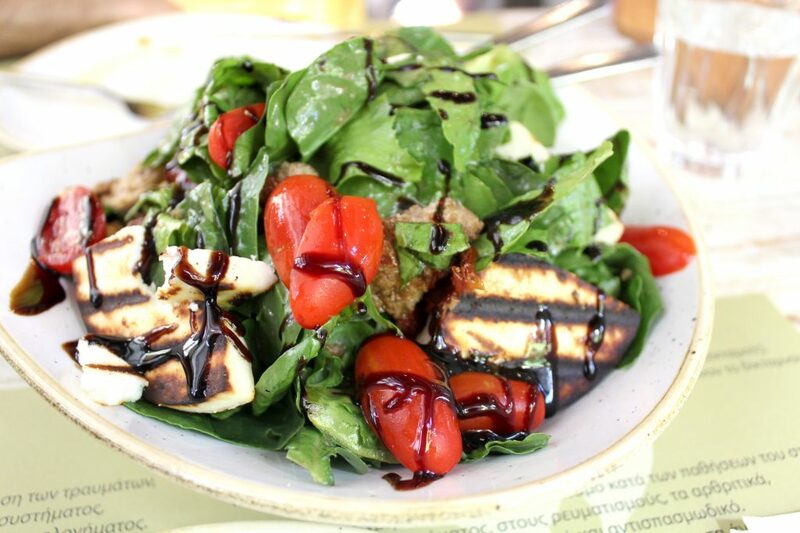 I said here before, Greeks know how to make a good salad. It’s impressive how they manage so well to combine simple ingredients in such a delicious salad plate. I also recommend ordering their Saganaki for the entree. Super yum! This restaurant is in a non-tourist area of Athens. It’s definitely a good place to try in case you are somehow nearby. Food is super fresh and delicious, the staff is extremely friendly and speaks English.